Item number N2.1037 from the MOA: University of British Columbia. 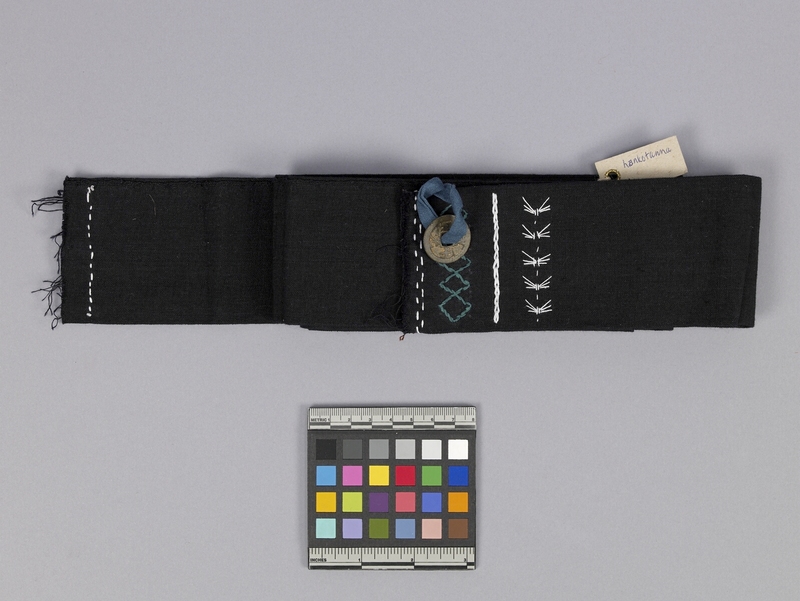 Navy sash with white and green geometric embroidery on one end. A round coin is attached to end with a loop of green fabric. Sash is folded with embroidery portion on top.